Mila asks: I was adopted in Russia, years ago. I am trying to find the orphanage I stayed at. They say it was registered in Abakan town. Most probably it was the orphanage "Malyshok" closed in 2015. 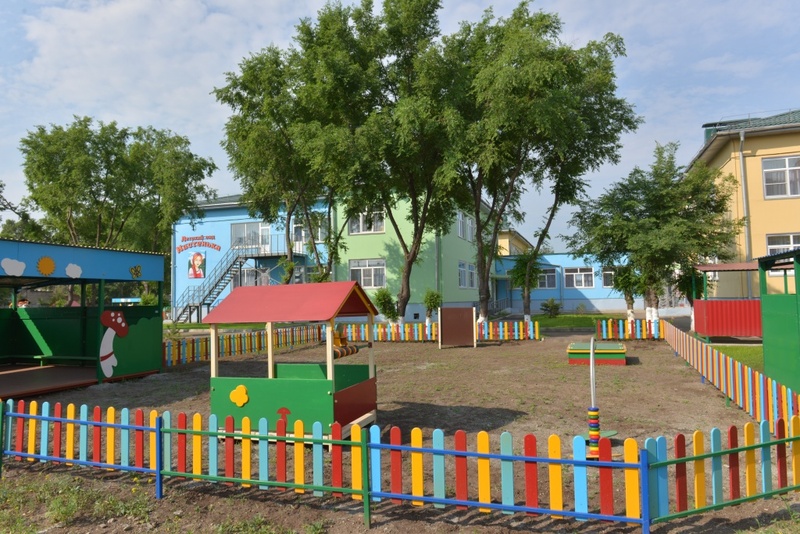 Today, the building is used as a kindergarten (photo and panorama). Steve asks: We adopted from Komsomolsk-on-Amur in Russia. Can't remember the orphanage name but I remember it had a huge steel gate. This was about 14 yrs ago. Can you please tell me or send some pictures of this orphanage .Our daughter is asking alot of questions now. Thanks so much. I have found the list of the orphanages of Komsomolsk-on-Amur. This service to translate from Russian. Not a lot of photos are available and among them I haven't found anything similar to the orphanage mentioned in your request. Judy Mendes asks: How do I get information on sibling adopted from Russia to USA. We adopted sibling boys and would like to contact their sister in USA. You can contact the officials of the Intercountry Adoption Division. Maybe they will be able to help you. michelle asks: We would like to adopt from Russia. I understand paperwork in regards to inheritance is required and must be given to biological children to sign. My question is what if an estranged child / ex-wife will not sign these papers? Will we still be allowed to adopt? You can find some info about adoption in Russia on this site. howard asks: What is the procedure for a second adoption? I haven't found anything special about the procedure of the second adoption, here is official information for adoptive families.